She loves it because she buys it. Alright, guys. I'm going to let you in on a not-so-secret secret. Women LOVE sound wave prints. Yes, let's do this! I'm paying with a credit card. Yes, Let's do this! I'll be paying with my PayPal. Alright. You know this is the gift she needs. What do you do now? What are you getting? And how does it work? Find out below. The way to her heart? 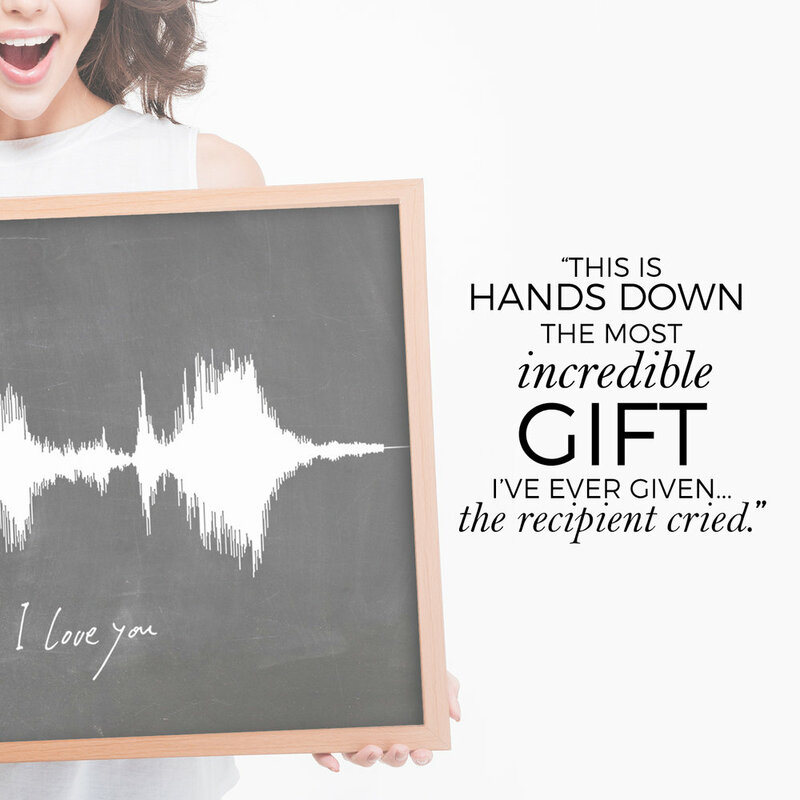 your kids saying "I love you, Mommy"
Now I'm not saying you want your lady/mom/sister to cry when she opens the gift, but c'mon, it would be nice to see her touched so deeply by something so easy to make! How easy? Do you have a mailbox? Do you know how to buy a picture frame and wrap a gift? Yep--that easy. We are proud to offer to choices. Our unframed prints are available in three standard sizes: 8x10, 11x14, and 12x18. Your high-quality 8x10 print is produced on heavy, 110 lb cardstock. Larger print sizes are developed on top-notch, velvety smooth, artist's print paper. Looking for something quick that you can have made into a canvas or print at home? You'll love our JPEG option. Just place your order and you'll soon receive a high-resolution digital file that will print beautifully up to 16x20. Print as many times as you'd like in as many ways as you'd like. The file is yours. And we understand it can seem difficult. We've been doing this long enough to know that while this may seem difficult to order, we can help simplify things for you. All you'll have to do is walk through our innovative ordering process. 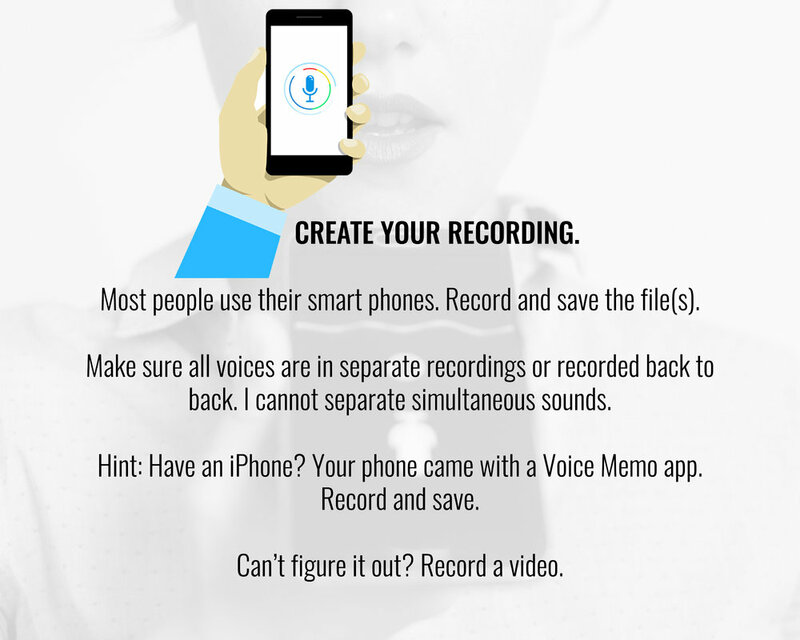 You'll need audio of what you'd like turned into a wave--this can be an audio or video file--and details about colors and text. It's that easy! Quick notes: Slide through the tutorial below. When you go to process your order, you'll be walked through this step-by-step, so don't feel overwhelmed. Still worried? Please contact us. Our customer service team will get back to you in a timely manner.